Reporting about revival of pistachio forests and its increase in a number of provinces, the spokesperson to the Ministry of Agriculture, Irrigation and Livestock (MAIL), Akbar Rustami told The Kabul Times that revitalization of pistachio forests is one of the ministry’s responsibilities. This year, totally 100 tons of pistachio have been collected from Badakhshan province as well as pistachio products have been increased in Samangan and Herat provinces, he said. Q: How many forests are there in Afghanistan? 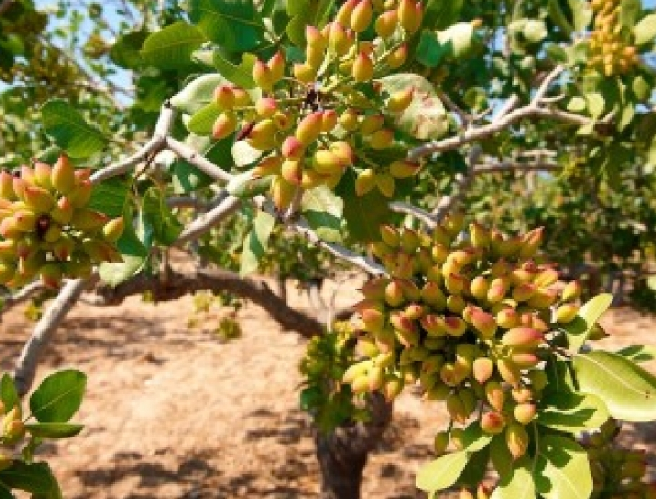 A-There are fruitful and unfruitful forests throughout the country, but the number of unfruitful type is less and most of the forests are of pistachio and pine nuts, Rustami replied. Unfortunately, most of the forests have been destroyed during the civil wars and the ministry is making effort to revive them, he further said. According to him, in 1357, we had 1.9 million hectares of forests and the number decreased by 1.3 million due to domestic wars. Over the last seventeen years, with the revival of forests, the number reached to 1.7 million hectares which is a high number, he stated. Q: What are the future plans of MAIL? A- We have started the revival of fruitful forests in many provinces and the process would continue to revive the remaining forests, he said. Today, pine nut has good market in international markets, as recently, 500 tons of pine nut have been exported to China through Kabul-China air corridor, he added. The ministry stressed that until the upcoming month, Afghanistan pine nut’s level export would reach to one thousand tons worth $40 mln. It is merit to mention that annually, 23000 metric tons of pine nut is produced in Afghanistan. Economic experts are saying that however, Afghanistan is the biggest producer of pine nut, but unfortunately, pine nut is indirectly exported by the neighboring countries. The large part of Afghanistan’s pine nut is produced in three southern provinces of Paktia, Khost and Paktika. According to the economy ministry’s ‘Afghanistan Producer’ plan, the ministry would earn nearly $2 bln if the ground is provided to standard processing of pine nut. Currently, the country’s exports reach to $800 mln each year.